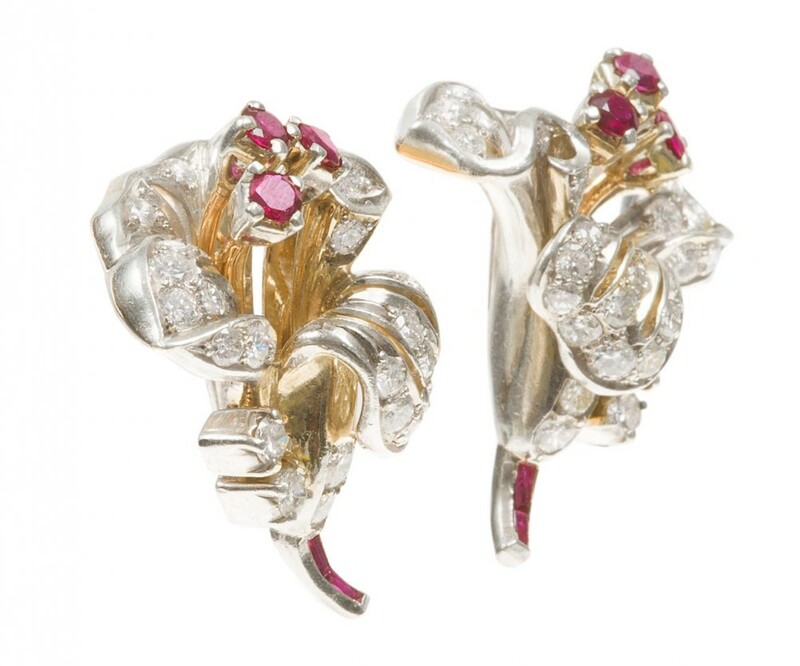 These lovely earrings are probably American as the rubies and diamonds are set in 14 carat white and yellow gold. 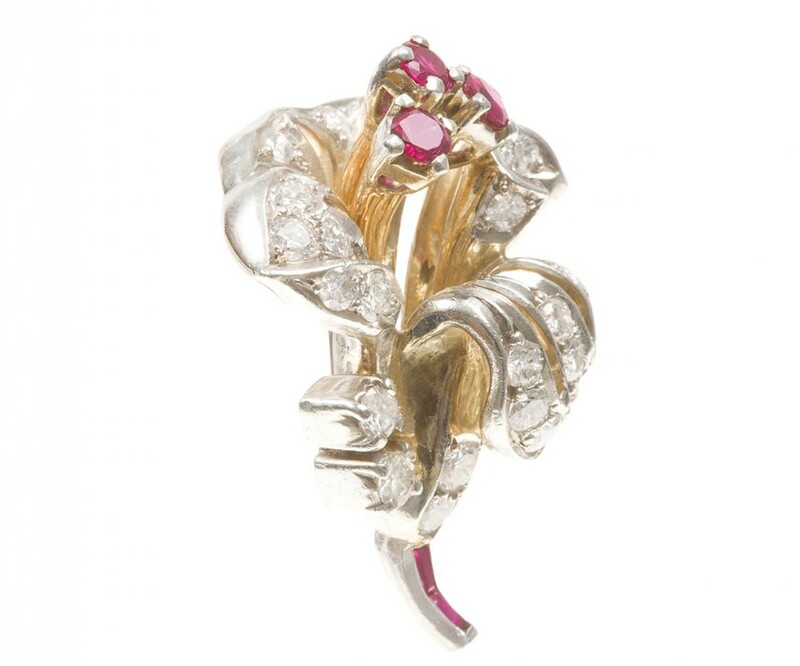 6 rubies approximately 0.11 carats each = 0.66 carats and diamonds totalling approximately 1.60 carats plus the calibre cut ruby stems. 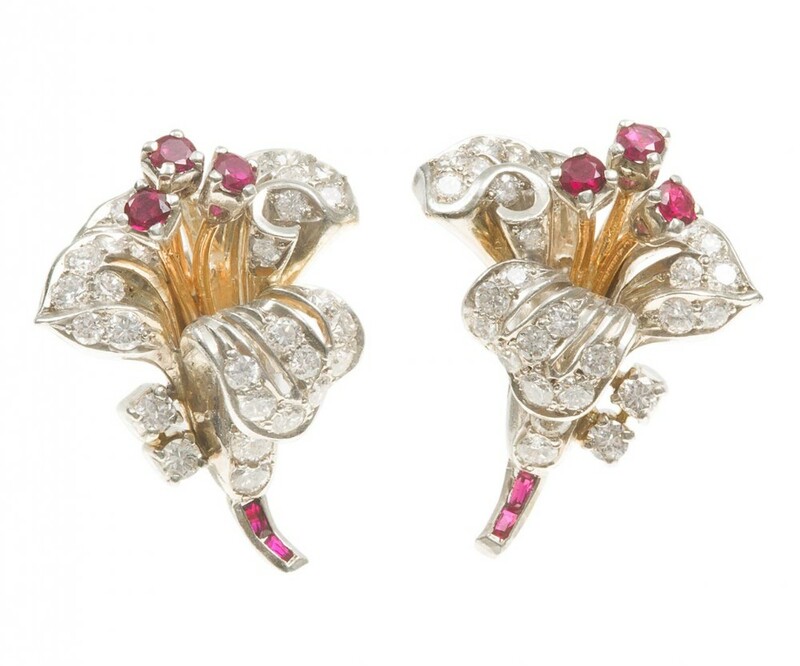 Posts and butterflies for pierced ears. They measure 28.17 mm in length x 19.62 mm wide. 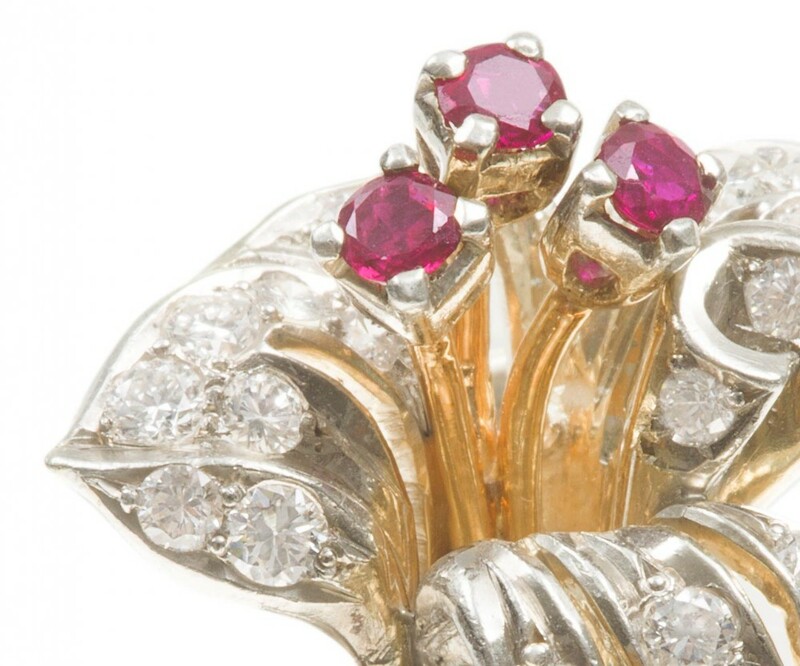 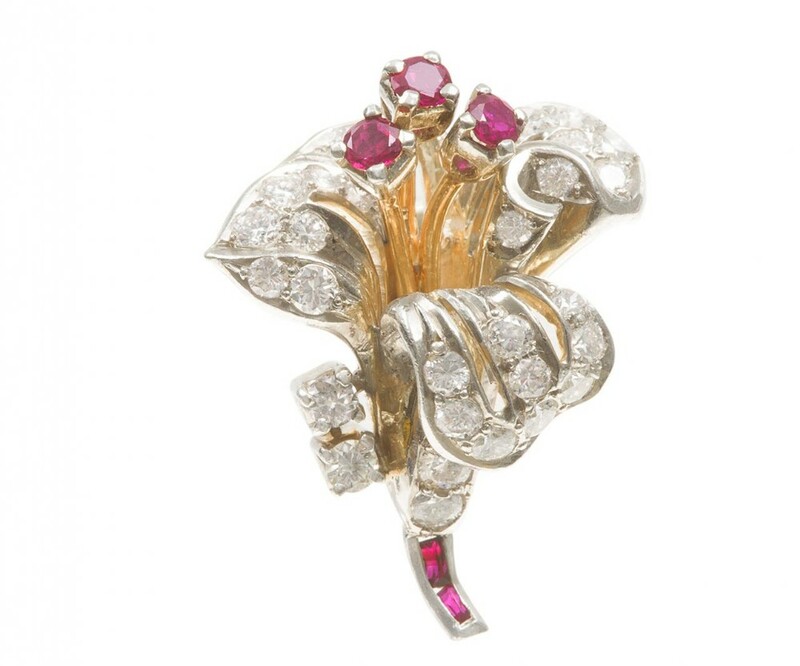 The Ruby & Diamond Flower Spray Earrings Circa 1945 has been added to your saved items.